It’s always been an ambition of mine since taking up photography to capture a Lightning Strike in one of my images. Over the years I have had several attempts at taking these impressive images but I’ve never been successful - my eyes see the strike but by the time I’ve pressed the shutter, the image has gone. 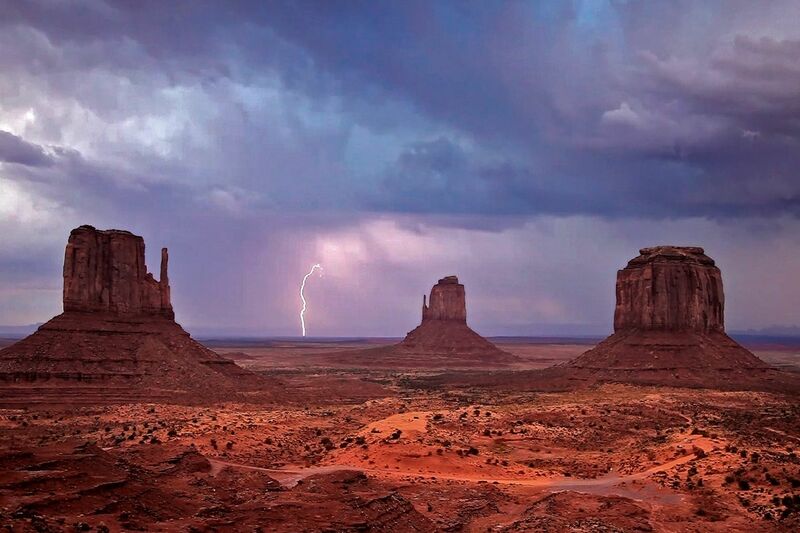 So to capture the Lightning over The Mittens, Monument Valley was a real red letter day for me.